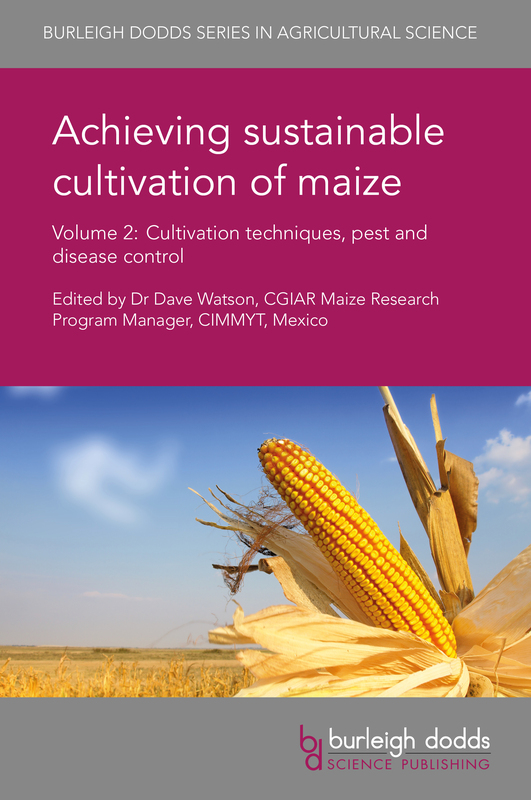 Drawing on an international range of expertise, this collection focuses on ways of improving the cultivation of maize at each step in the value chain, from breeding to post-harvest storage. Volume 2 reviews research on improvements in cultivation techniques such as nutrient management, crop rotation, intercropping and other aspects of conservation agriculture. It also discusses developments in methods for combatting pests and diseases. Achieving sustainable cultivation of maize Volume 2: Cultivation techniques, pest and disease control will be a standard reference for cereal scientists in universities, government and other research centres and companies involved in maize cultivation. It is accompanied by Volume 1 which reviews developments in breeding and ways research can be translated into effective outcomes for smallholders in the developing world. Professor Mankombu (M. S.) Swaminathan, Recipient of the first World Food Prize in 1987 and listed by Time magazine as one of the 20 most influential Asian people of the twentieth century.